Meeta Kalra Noida “This helicopter ride has some of the best views in the world. The picture stop at Kalapatthar and was priceless. 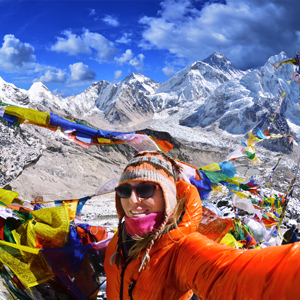 So was the stop at Hotel Everest View – absolutely amazing! Being so close to the Roof of the world is an incredible feeling. Top it up with a champagne breakfast and you feel like the King of the world! ”. 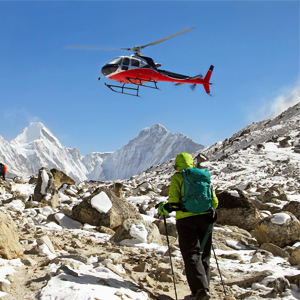 Experience the rare thrill of a Mountain Flight in the Everest Region along the Khumbu Valley. Take off from Kathmandu Airport early towards Lukla (2860m) where the valley begins. You can see the scenic valley under the shade of Himalayan peaks such as Mount Everest, Mount Cho Oyu, and Mount Ama Dablam. 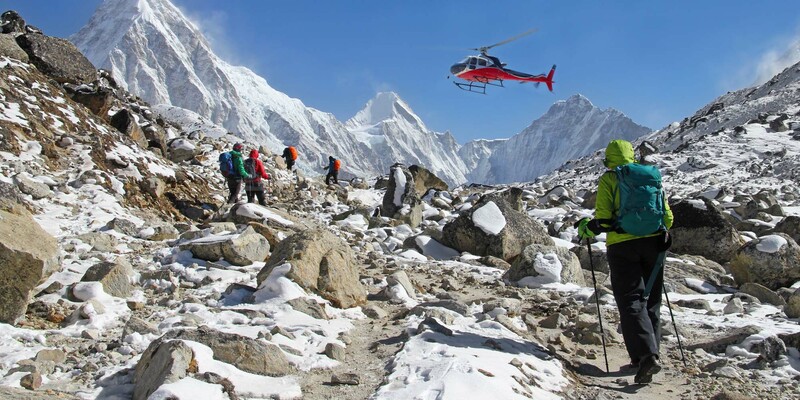 Thereafter, land at Kalapatthar (17,300 feet) for 5-10 minutes to take photographs; then land at Hotel Everest View (3800 metres) – one of the world’s highest resorts – for a panoramic view of Mount Everest right before your eyes. It is breath-taking! You will reach just in time for a sumptuous breakfast, and champagne, if you prefer. 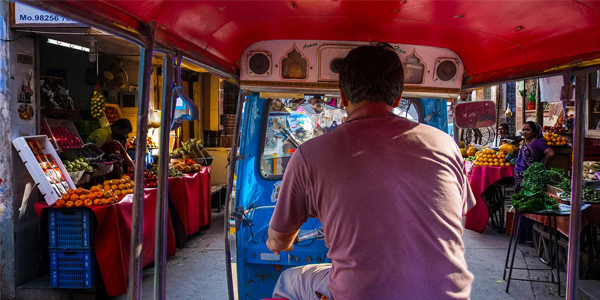 You will have a ground time of about 30-45 minutes for breakfast and photographs, after which you fly back to Kathmandu.